What could be better than to spend a day gaining a fascinating insight into one of the world's most famous cities in the company of one of South Africa's top guides? This exclusive VIP tour is one you'll never forget as you spend the day exploring this exciting, beautiful and historic city and its surrounding countryside. You will learn of the history, the fascinating culture and the development through the centuries - even the political scene if you are interested. 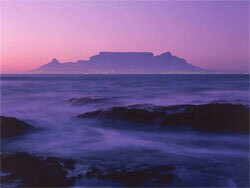 And all the while, experiencing the breathtaking scenery of the mountains and seas - Cape Town perched between two oceans. 09.00:	Pick up at your hotel and an introduction to the city itself - Houses of Parliament, the Company Gardens dating from the 17th century and the involvement of the Dutch East India Company in the Cape. Then, round the fabled Table Mountain, into the leafy suburbs of Rondebosch and Newlands, home of the international rugby and cricket grounds, the University and majestic Rhodes Memorial on the slopes of Devil's Peak. For garden lovers, a stop at world famous Kirstenbosch Gardens is essential. These really require a full day, but provide a taster for perhaps another visit. 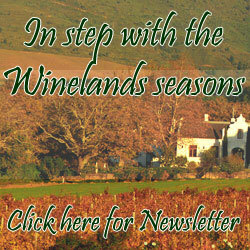 Through the Constantia vineyards to the sea and the fishing village of Kalk Bay. With its picturesque harbour, it still houses the traditional fishing boats - the day's catch of kingklip, cape salmon and, if you're lucky crayfish, is laid out each afternoon to provide the freshest meal you could cook. Or you can enjoy one of the many trendy and off beat restaurants that have recently made this village a haven for art galleries and craft shops. On to Simonstown, home of the Navy and welcome haven for the Royal Navy during World War II. See the statue of Just Nuisance, the Great Dane, who watched over the comings and goings of the sailors and guided them back safely after a night ashore! Pietman will keep you informed and entertained with his stories of the places, people and times. Cape Point and its nature Reserve is the furthest point of the day. Here, where the lighthouse built in the 1800s stands high up above the visitors enjoy the unique fynbos and delight in the views of mountains and sea as you look over the vast False Bay which Bartholomew Diaz mistook for Table Bay. Homeward bound along the scenic Atlantic Coast, over the stunningly beautiful Chapman's Peak drive, past Hout Bay harbour and then to Camps Bay and Clifton, home to the wealthy and famous. Last but not least, you will pass the latest addition to the wonders of Cape Town - the 'bedpan' - the soccer stadium built for the 2010 World Cup, before one or two glasses of the Winelands' best at the spectacular Waterfront. 18.00 And then - back to the hotel to mull over the moments of a memorable day.